Continue the fight amongst the Mishima clan and its newest member: Kazumi Mishima. What secrets will be revealed within the Mishima clan? 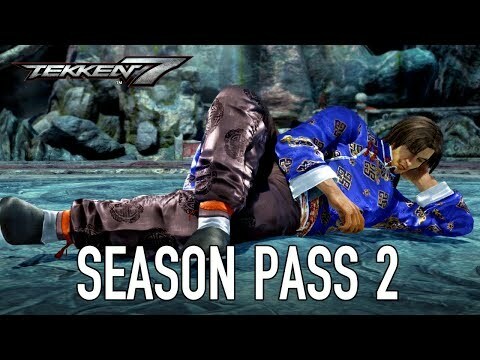 The epic conclusion will unfold in Tekken 7! Tekken 7 was released on PC 688d ago in the US and the UK. Based on 5 Tekken 7 PC reviews, Tekken 7 gets an average PC review score of 82. The score for all versions is 81 based on a total of 28 reviews. Tekken 7 is the fighting experience that its fan base wanted it to be. Even with the game's increased emphasis on multiplayer over single-player content, Tekken 7 remains a fun fighting game experience. Tekken 7 is a sweet reward for anyone who’s been following along for more than two decades. Tekken 7 remains an easy game to recommend. A smart, blisteringly fun experience at its core, Tekken 7’s limited singleplayer campaign and poor tutorials marr an otherwise resounding win.